A particular mental attitude must be developed if one is to be able to calmly face combat encounters. Xunzi, the famous Chinese military tactician, writing on Strength and Weakness said: “Military tactics are like flowing water. Flowing water always moves from high to low, and military tactics always avoid the enemy’s strong points and attack his weak points. Whereas the course of flowing water is decided by the different landforms, the way to win victory in a battle is decided by altering the tactics according to the enemy’s changing situation”. A combatant should possess calmness and mindfulness when facing an opponent and has no prejudgment regarding the unfolding situation. Aspects such as the direction and speed of an attack, the most appropriate distancing, and what techniques to use in response etc, are different in every instance. Calmness is the first requirement, and from calmness the ability to quickly assess the intention of an opponent and to adapt as the situation dictates. 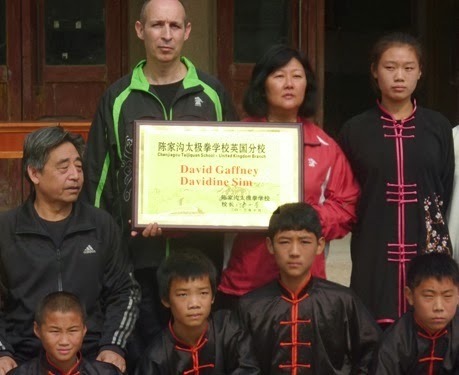 A practitioner well versed in the Taijiquan training curriculum has at his disposal a comprehensive repertoire of skills that have been trained into his body to be brought forth instantly and instinctively at the correct instance. The ability to calmly assess the situation also depends upon an individual possessing a degree of courage when facing an adversary. In his “Important Words on Martial Applications”, fourteenth generation standard-bearer Chen Changxin said: “the terrified will never achieve victory. He who cannot examine the situation will never protect [himself]” (Chen Xiaowang, 1990). Chen Zhaokui also emphasised the need for bravery, allied to excellent fighting skills: “Fighting outcome is largely determined by courage. However, courage alone is not sufficient. Superior boxing skills are indispensable. A brave fighter with first-rate skills is a tiger with wings”. 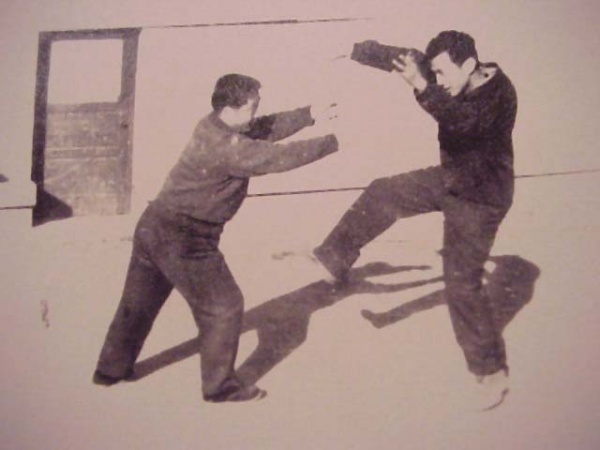 Chen Changxin’s words reveal a practical approach that balances the physical and psychological aspects necessary to be successful in a combat situation. In modern times there has been a mystification of not just Taijiquan, but traditional martial arts as a whole. These arts that for centuries were trained in a practical and pragmatic way as a means of self-protection are treated like a modern science fiction. For example, the skill of qing gong (skill of lightness) dramatised in martial arts movies by warriors flying through the air, running across water and walking across snow without leaving any footprints, has led people to conclude that these skills are nothing more than fantasy. Qing gong, however, is a real skill that serious practitioners looking for total body conditioning would do well to cultivate. 18th generation exponent Chen Zhaoxu, the eldest son of Chen Fa-ke and father of Chen Xiaowang, was said to have exceptional qing gong ability. Stories are still recounted in Chenjiagou of how he would effortless scale the high courtyard wall of his home as a shortcut to walking through the doorway. In reality, qing gong describes someone who is trained in the ability to jump higher than normal people, to “borrow the strength from the ground”. They simply have more spring in their legs. A quick look at the many world-class high jumpers, hurdlers, basketball players etc shows that this ability is still very much alive today.